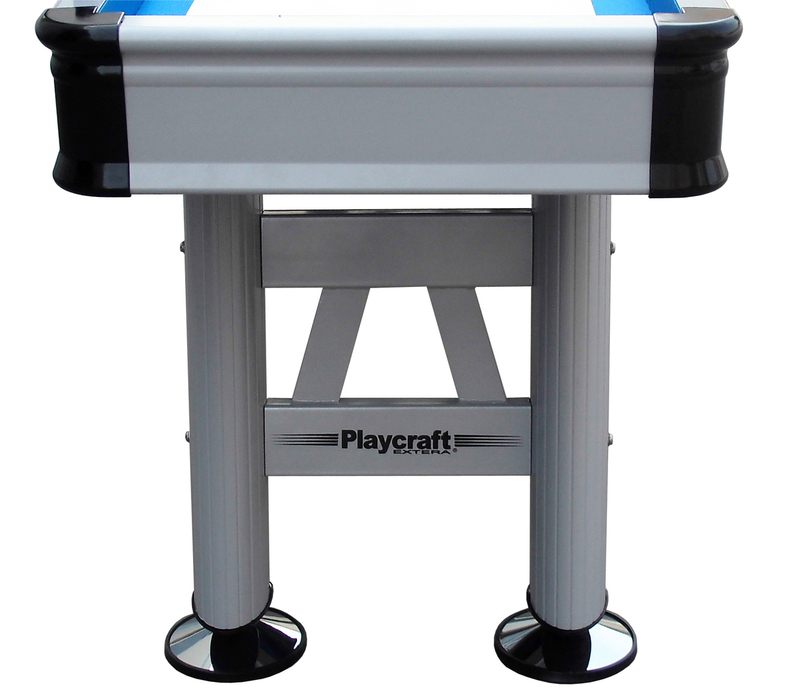 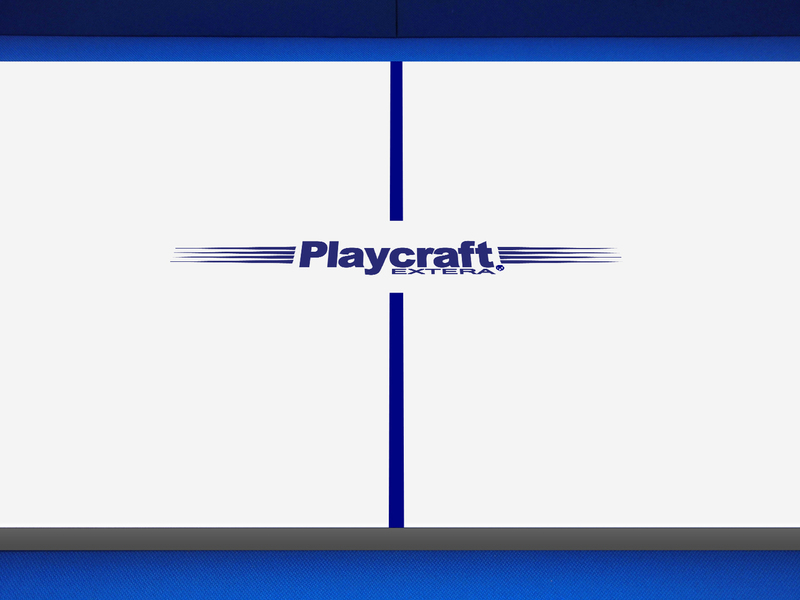 Take the fun outside with Playcraft's Outdoor Shuffleboard Table! 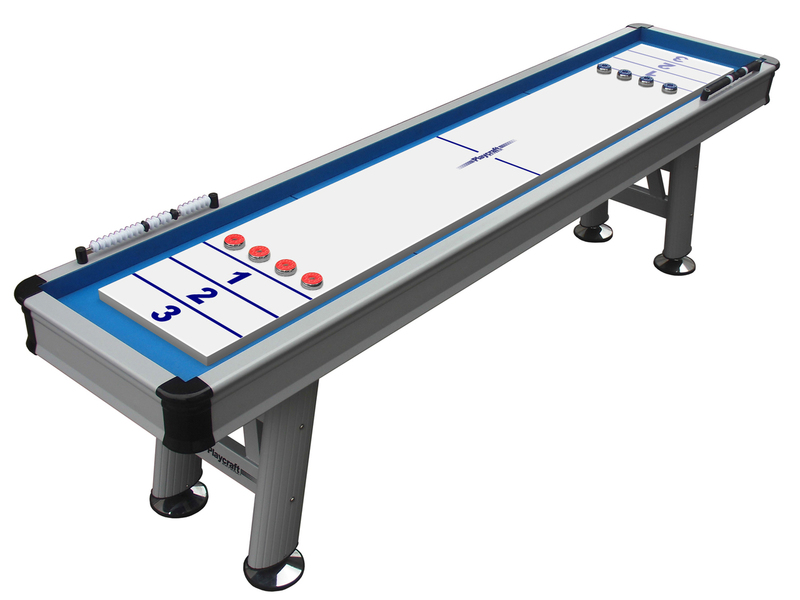 What is top of extera shuffleboard table made of? 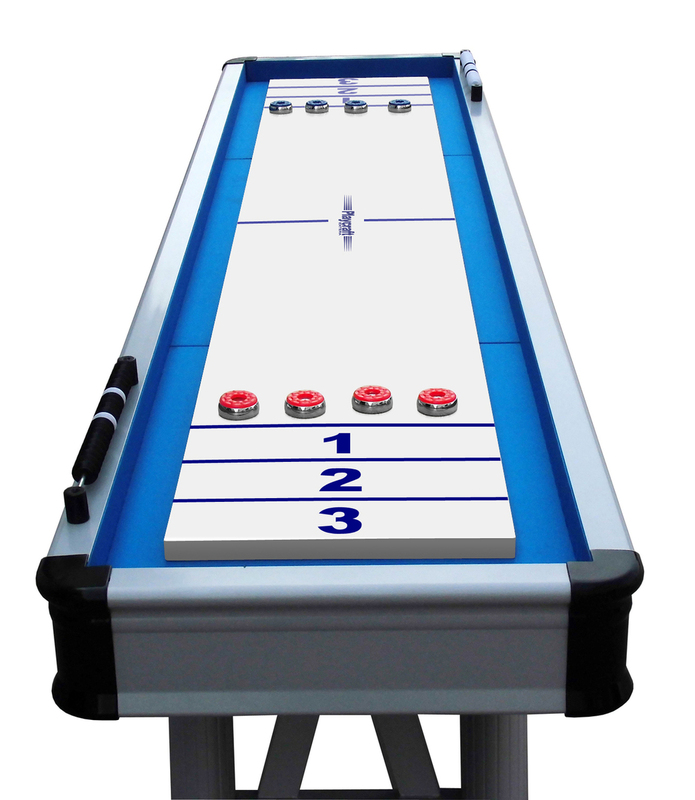 Does it play like a regular wood table? 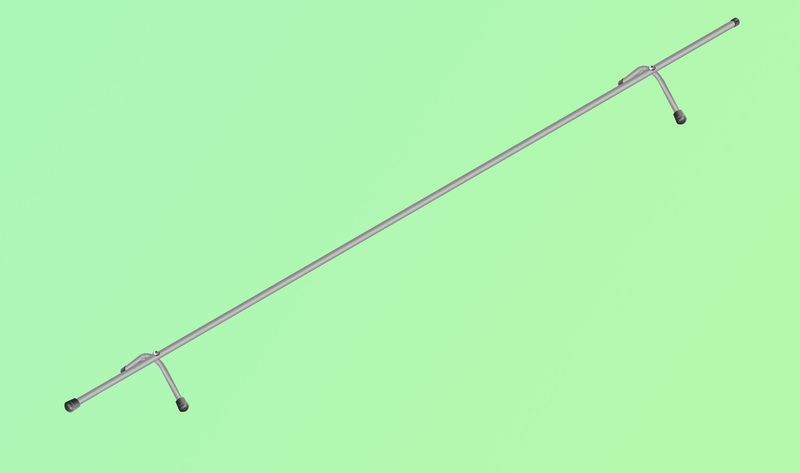 Is there climatic levelers? 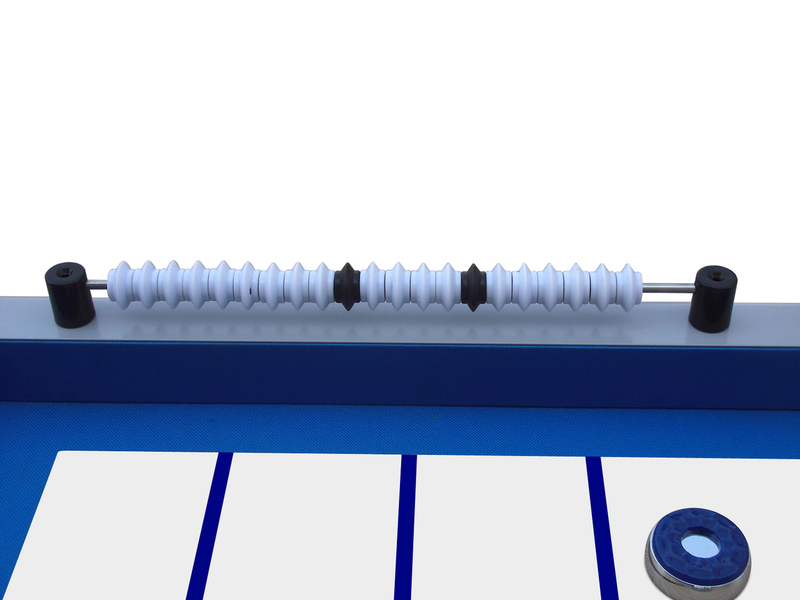 The playing surface of the Extera Shuffleboard Table, is made out of a synthetic weatherproof polymer that will play like a regular wood table. 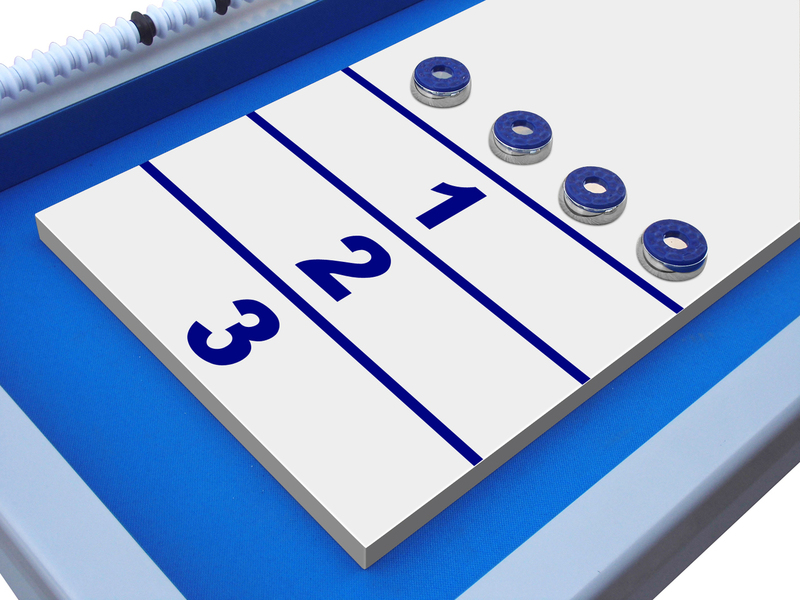 It is very important that there is plenty of shuffleboard table powdered wax on top of the playing surface when playing with the table. 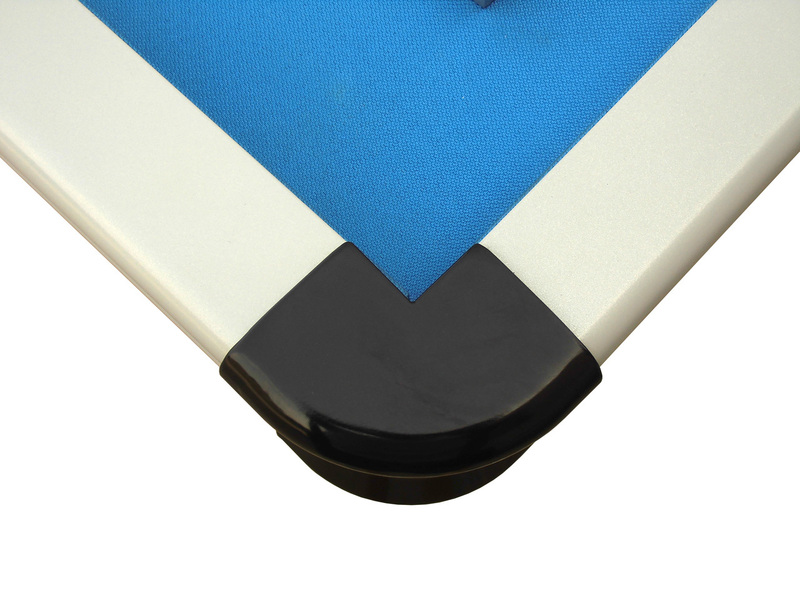 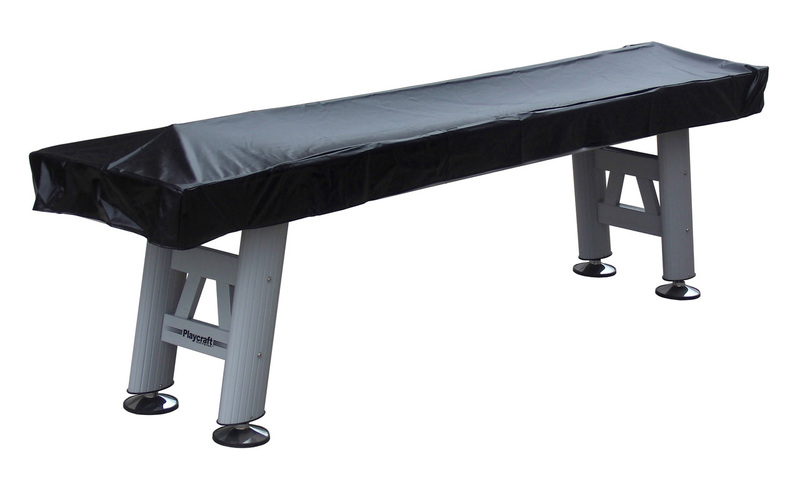 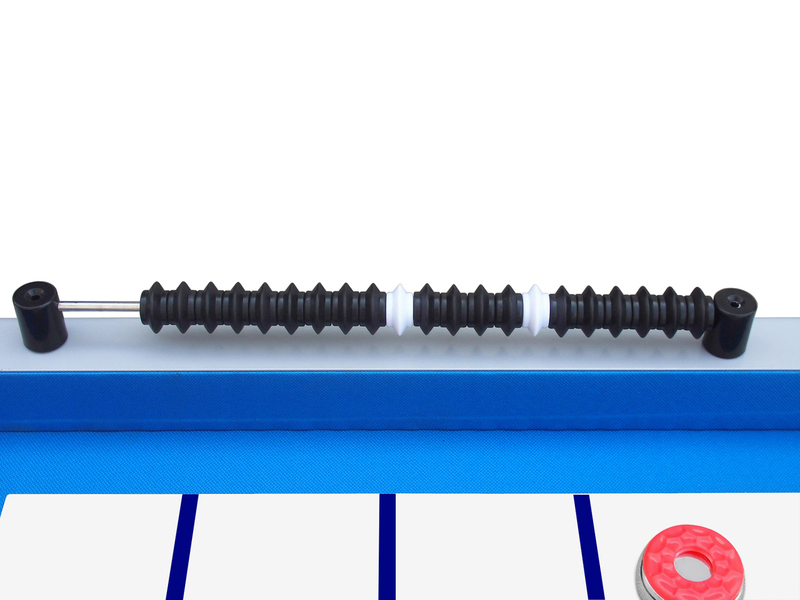 There are levelers on the feet of the shuffleboard table as well as climatic adjusters under the playing surface so that you can level the table in any season.